Reports can give you huge insight into how your business is really doing. Built the right way, reports can help your make better decisions. An accurate report should reflect actual and concrete metrics in your company. This way you can gain an accurate overview of how your company is doing and what you steps you can take to ensure long-term success. The more you know about how you business is really doing, the better decisions you can make. In Flexie CRM, you can use pre-defined reports to gain a deeper understanding of sales performances, marketing campaigns, deals pipeline metrics, and much more. See different metrics such as how many entities have been created, how many times was your page visited during a day or month, etc. What if you wanted to modify pre-defined reports? 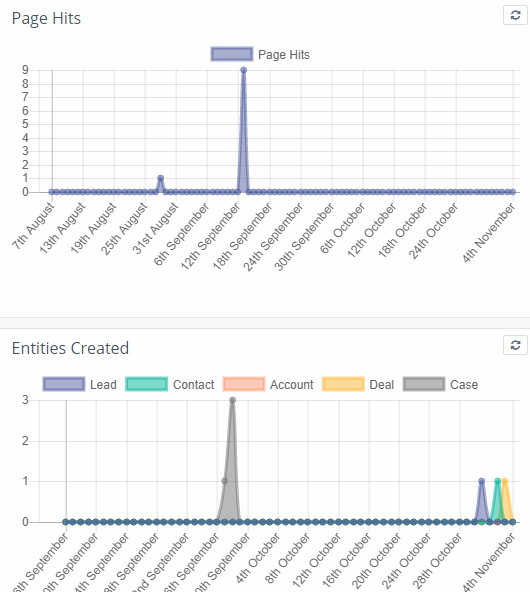 Since Flexie CRM is fully customizable, you can modify pre-defined reports. And if they don’t match your business needs, you can always create custom reports from scratch.